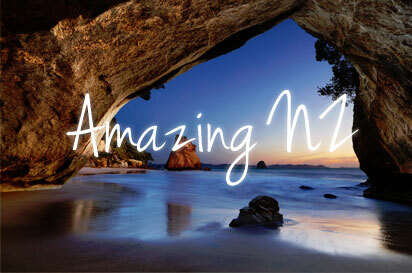 The city of Nelson is known for the sunshine, claiming to be the sunniest city in New Zealand. The climate is wonderful for a sun-seeking lifestyle, for growing fruit and grapevines. Fresh fish and shellfish are a prime product in Nelson, featuring in many menus, with Port Nelson being the largest fishing port in Australasia. It is believed that Maori have been living in the area since about 1400. Nelson was the second city to be settled in New Zealand by Europeans, the city being established in 1841. Reminders of the early settlers remain in a few grand old houses today. Broadgreen was built in 1855, and on display in the house are colonial furniture and a collection of textiles and clothing of the pioneer era. Also on show is a fantastic rose garden. Thomas Marsden arrived in Nelson in 1841, and the house he built is now open to the public. Isel House is set in an English style park and has a number of heritage displays in the house, showing differing styles furnishing through its lifetime. The Founders Park has exhibits of agriculture, aviation and Maritime activities through the ages, and the history of coaches, fire engines, bicycles and beer are all on display. A 540-million-year-old fossil, the oldest ever found in New Zealand, was located in the Kahurangi National Park, a huge, park with large areas of trackless wilderness, while Nelson Lakes National Park is full of birdlife and activity. The Abel Tasman National Park is a relatively small park, with coastal views and beautiful scenery. Wander along beaches and over hills, and find fur seal colonies, and see penguins and dolphins off the coast as you go. Farewell Spit, the absolute top of the South Island, is a 30 km stretch of sand, that has been a bird sanctuary since the 1930s. Together with a gannet colony are a variety of birds, including the Godwit, that have often flown thousands of miles to summer here. The Marlborough Sounds are ancient river valleys, now flooded and glorious in their beauty. The easiest way to see of this area is to take the Interisland Ferry, which sails up the Queen Charlotte Sound. Wildlife, native, domestic and exotic can be seen close up at the Natureland Zoo, with a conservation programme in place to assist Native birds that are in trouble. Domestic animals include pigs, ducks and llamas, with exotic yaks, agouti and porcupines among the crowd. New Zealand natives include Kea, Morepork, Weta, Tuatara, Tui, Kereru, and Kakariki. While the Marlborough region is very famous for wine, the Nelson-Tasman area also has some great boutique wines. A drive around the vineyards will also introduce you to other food tastings that are locally produced, such as chocolates, honeys and jams, chutneys, pesto, and processed meats. Wines to be found are usually Sauvignon Blanc, Chardonnay or Pinot Noir. Marlborough is a big Sauvignon Blanc producer, with some quality Pinot Noir, Chardonnay and Reislings. Try stopping off at Havelock for some Greenshell Mussels. Nelson's Market is a popular place in the inner city to buy fresh produce and craft every Saturday. Nelson also prides itself on being the craft beer capital of New Zealand, so while in the area, try out some of the local beer. McCashin's Brewery is a great place to start with a 45-minute tour of the Brewery and tastes of the product at the end. Nelson has a self-guided Craft Beer Trail, which is a fun way to sample local beers- there are 23 on the list at this time, so there is plenty of choice. Nelson has to be the hiking capital of New Zealand with so many walks, scaled to all energetic levels. Short walks start at about 5 minutes, like the Pelorus Bridge Walk. The Motueka Waterfront Walk is suitable for wheelchairs, and will take about 90 minutes if the entire walk is done. The Abel Tasman Coastal Walk is 52 km of easy walking that will take between 3-5 days, and there are lots of choices in between these options. Popular hikes include the Whakariki Beach Walk, where you may see seals or find a cave to explore, the Heaphy Track, a 4-5 trail through the Kahurangi National Park, and the Centre of New Zealand Walk in the city itself. Cyclists have not been forgotten as there are both urban and mountain bike tracks in Nelson. Horse-riding is also catered for with a number of equestrian centres offering treks. ATV rides are another adventure that is available. A more unusual adventure is Wind Karting with land Yachts in Richmond. Said to be very easy to learn, it has to be an adventure you need to try. Visit local ringmaker- Jens Hansen, and see some of the real rings used in the movie. You can even buy yourself a replica made by the man who made the movie props. 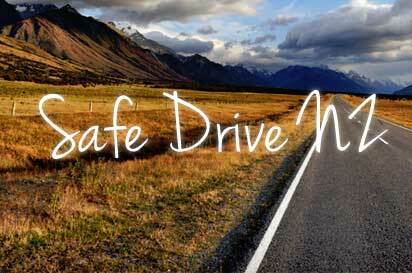 Bargain Rental Cars is proud of offering the best deals and the best customer service in New Zealand. If you have any questions don't hesitate to contact us on 0800 566 701 or info@bargainrentals.co.nz. You also can get a free/no-obligation quote on our website and also book your car online.